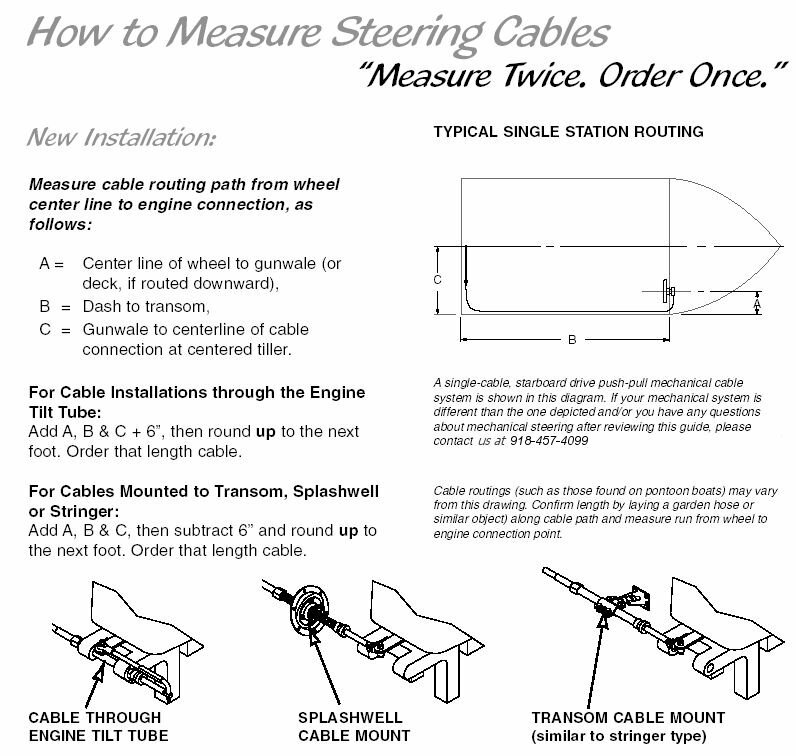 To select the correct length, get the number (normally contains length) off your current steering cable or, click here for instructions. 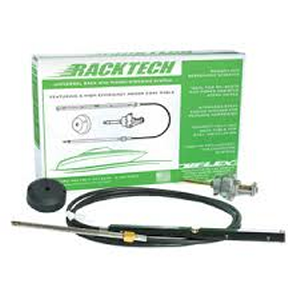 Teleflex complete quality rack type steering system. For use on boats up to 35`. 300 lb. maximum working load on tiller end. Includes cable, helm, bezel, steering wheel, and mounting hardware.